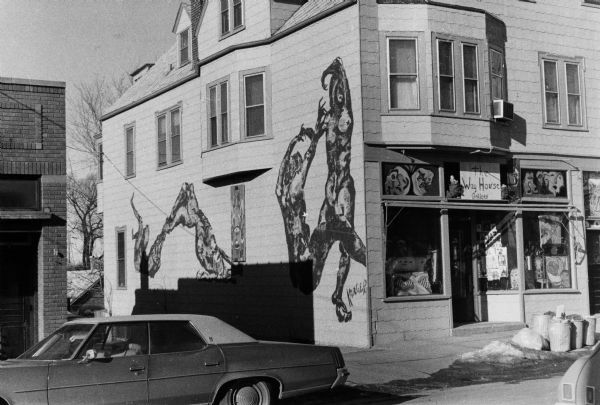 The Way House of Light Gallery, 1354 Williamson Street, decorated with psychedelic art. Built in 1906 as Gaertner Saloon & Residence / Kayser Hall. Owned by folk artist Mona B. Webb (1914-1998), and known as the Way House of Light (ca. 1968-1998). Remodeled in 2002.